The speech emotion recognition accuracy of prosody feature and voice quality feature declines with the decrease of signal to noise ratio (SNR) of speech signals. In this paper, we propose novel sub-band spectral centroid weighted wavelet packet Cepstral coefficients (W-WPCC) for robust speech emotion recognition. The W-WPCC feature is computed by combining the sub-band energies with sub-band spectral centroids via a weighting scheme to generate noise-robust acoustic features. And deep belief networks (DBNs) are artificial neural networks having more than one hidden layer, which are first pre-trained layer by layer and then fine-tuned using back propagation algorithm. The well-trained deep neural networks are capable of modeling complex and non-linear features of input training data and can better predict the probability distribution over classification labels. We extracted prosody feature, voice quality features and wavelet packet Cepstral coefficients (WPCC) from the speech signals to combine with W-WPCC and fused them by DBNs. 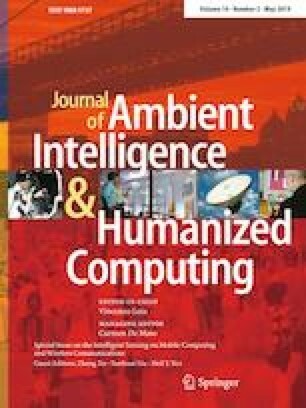 Experimental results on Berlin emotional speech database show that the proposed fused feature with W-WPCC is more suitable in speech emotion recognition under noisy conditions than other acoustics features and proposed DBNs feature learning structure combined with W-WPCC improve emotion recognition performance over the conventional emotion recognition method. An earlier version of this paper was presented at the International Conference on Network, Communication and Computing (ICNCC 2016).This work was supported by open Fund of Jiangsu Province Natural Science Foundation (No. BK20140649) and National Natural Science Foundation (No. 61503081, No. 61473079).